For use for up to 6 weeks non stop use. Rinse 10ml twice per day for one minute. If still needed after six weeks, take one week's break and then repeat the process. Description. Gingival Gel contains Chlorhexidine-digluconate 0.5%. Curasept 0.50% chlorhexidine gel in a 30ml tube. Curasept gel is smooth flowing and easy to use. Full chlorhexidine effect, minimum side-effects, maximum compliance. Protects and maintains health gums and protects against bacterial plaque. The targeted application of 0.5% CHX digluconate gel makes using a CS surgical mega soft toothbrush or CPS prime interdental brush easier. 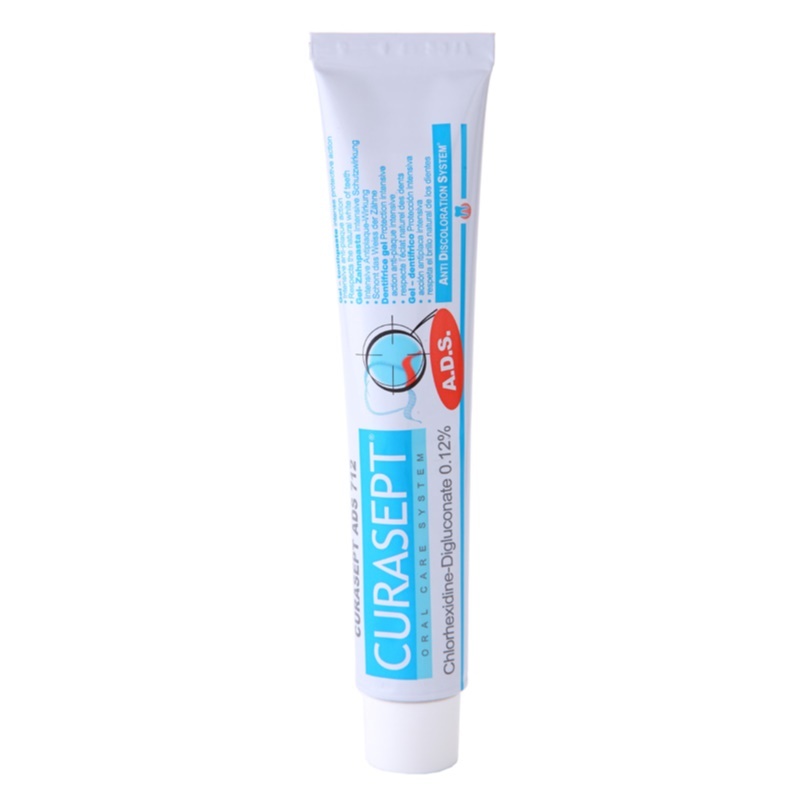 Chlorhexidine Curasept toothpaste is a gel toothpaste that�s alcohol-free, non-staining and does not affect taste perception. Providing excellent protection and improved efficiency through better patient compliance, it�s an ideal choice for everyday brushing.